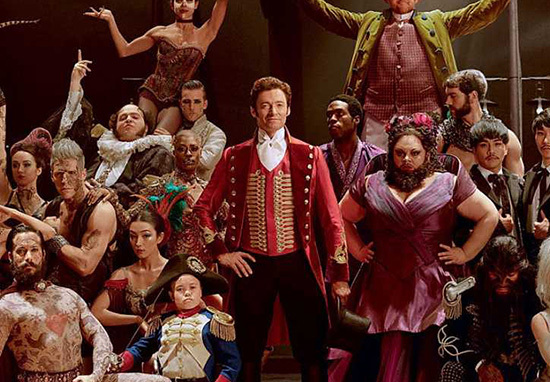 Hugh Jackman has announced a world tour performing tracks from The Greatest Showman, and it goes without saying – it’s going to be the greatest show. The talented actor is taking to stages across the globe to bring to life what I think is probably one of the best films in recent years – though the pressure’s on as he won’t have all of his excellent supporting cast around him in the one-man show. I don’t think we need to worry though, Jackman can do anything. He is, after all, the greatest showman. The Australian revealed the exciting news on Good Morning America, where he described the experience as ‘a dream come true’. As well as tracks from The Greatest Showman, Jackman will reprise some of his former acting and stage roles by singing songs from Les Misérables, The Boy from Oz, and Oklahoma. While the 50-year-old will be the star of the show, he will be backed by a 26 piece orchestra and, in his words, ‘about 30 singers and dancers’, so there’s no doubt it will be a spectacle to behold. While there’s been no mention of Zac Efron or Zendaya making an appearance on stage, co-star Keala Settle, who played the Bearded Lady in The Greatest Showman, will be joining Jackman for performances and definitely blowing audiences away with her incredible vocal chords. I don’t know about you, but I’ve tried and failed many times to mimic the moment Settle smashes the line ‘THIS IS WHERE YOU WANNA BE’ in The Greatest Show. The Wolverine actor has previously performed his one-man show on Broadway as well as at venues in Australia, but this time he will be taking on more stages in America and Europe, and he’s hinted that no two shows will be the same. I love going to a concert where I feel something happens that night that could only happen that night. I’m just going to have a party. I guess true fans will have to attend as many shows as possible to really see Jackman in all his glory!